Have you ever wondered how to make a pram card?. Well, here is my tutorial on how to make one. Card ( I used 240 gram ) NOTE thin paper only works for decoration. 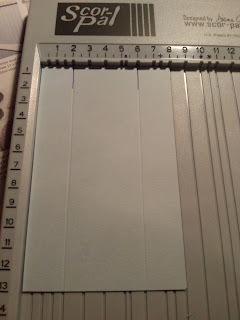 Scorpal ( or some kind of scoring tool ). Circle dies both plain and edged. 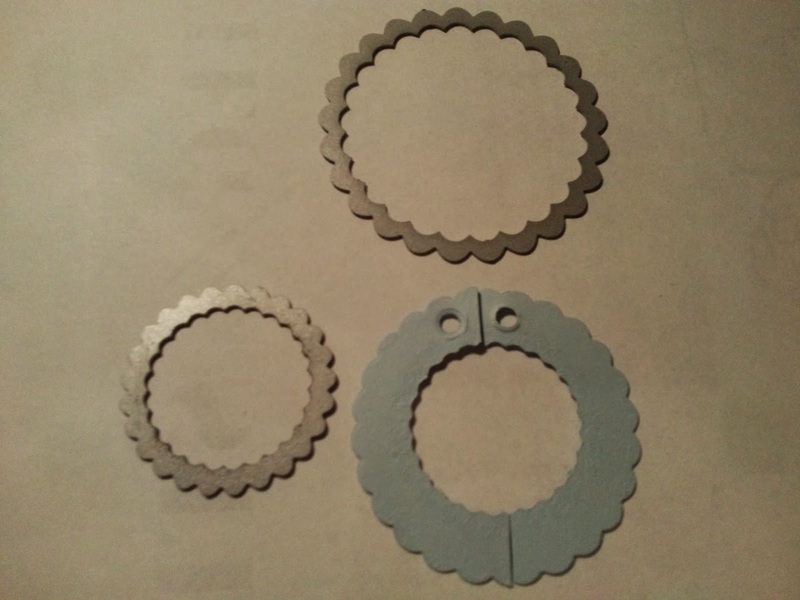 Circle Edged dies:- 8,5cm cut 1 circle. Plain circle dies:- 7,5cm cut 2 circles. 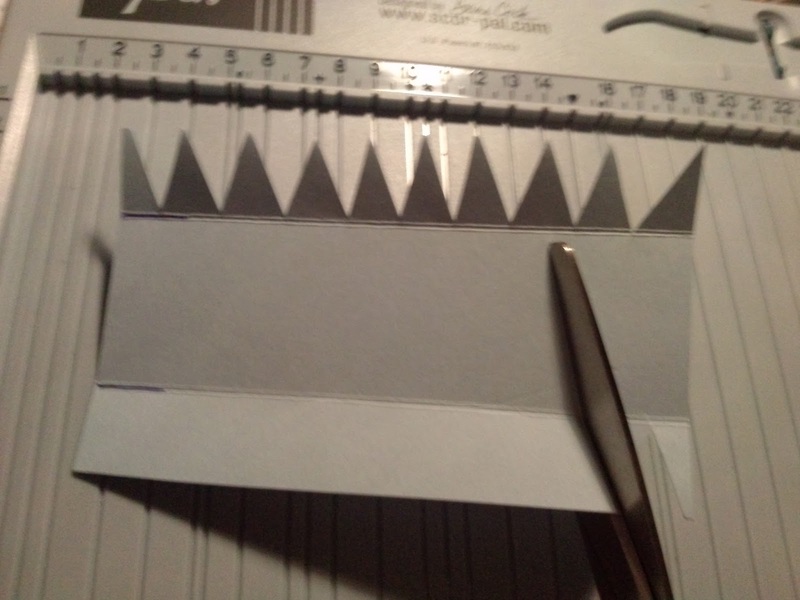 One edge die measuring 15cm x 3cm cut 7 strips. 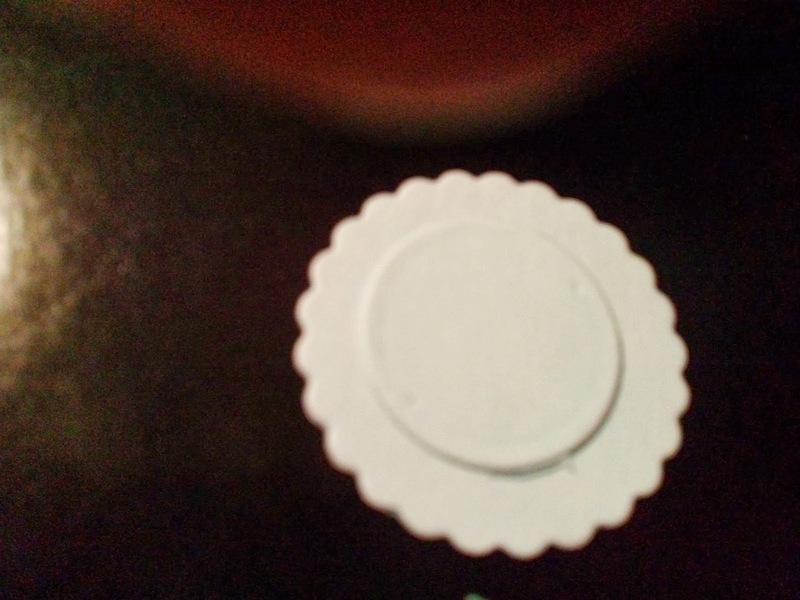 Glue ( I like to use glossy accents ). 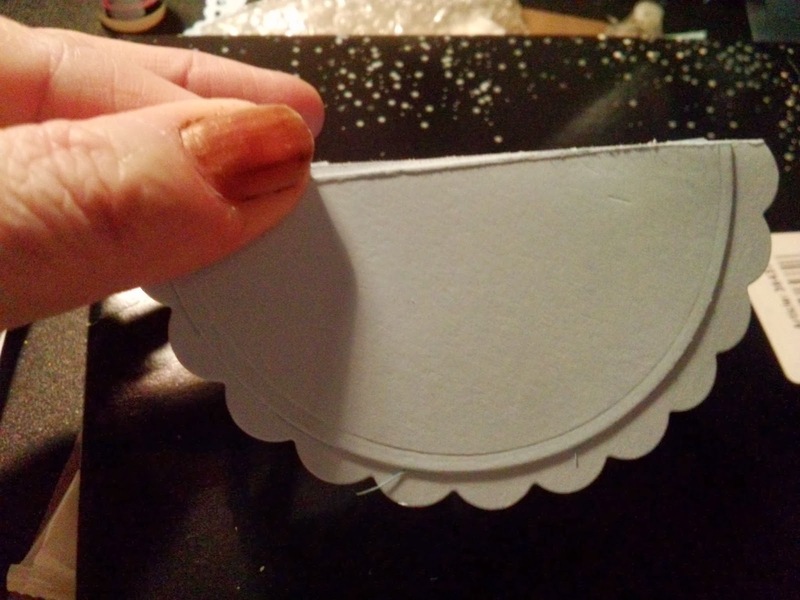 Once you have cut all your circles, cut a piece of card measuring 13cm x 8cm this is for the under Carriage. Score along the 13cm lenght on both sides. 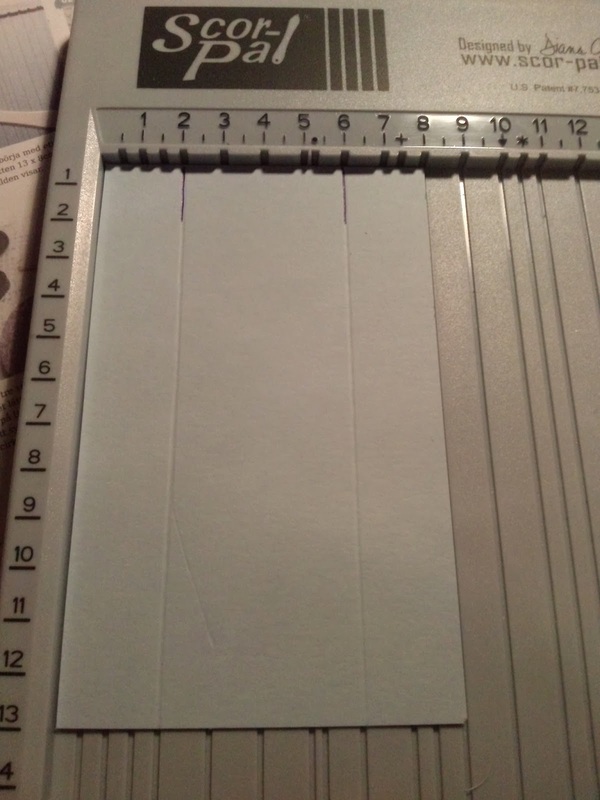 Now you need to fold these score lines and then make cuts only up to the score line. 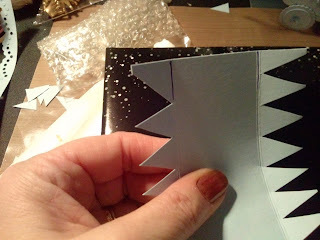 Once you have done this I find it's best to try and make the card bend a little, this will make it easier to work with later on. 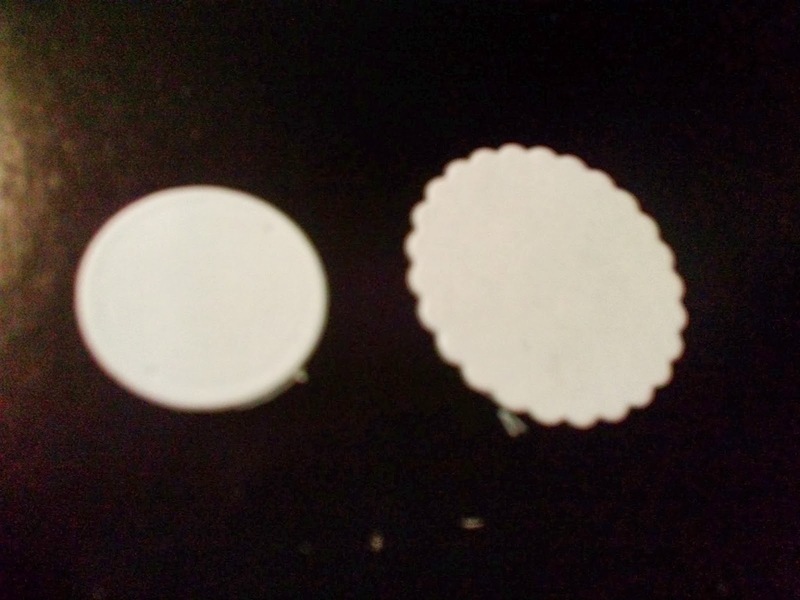 Now you need to take glue together Your 8,5cm edge circle with Your 7,5cm plain circle. 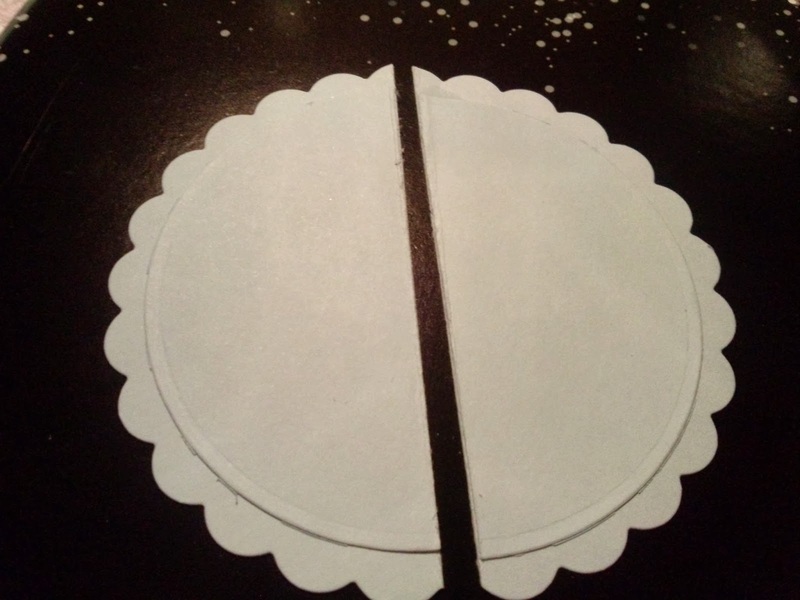 You need to then cut this in half. Now you will have the under Carriage and the sides of the pram ready to put together. 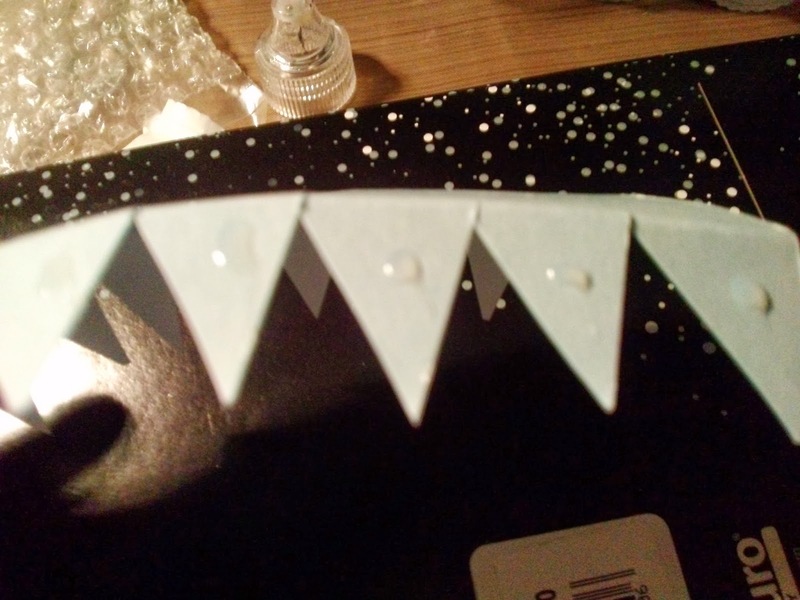 First glue each of Your triangles on the Carriage. 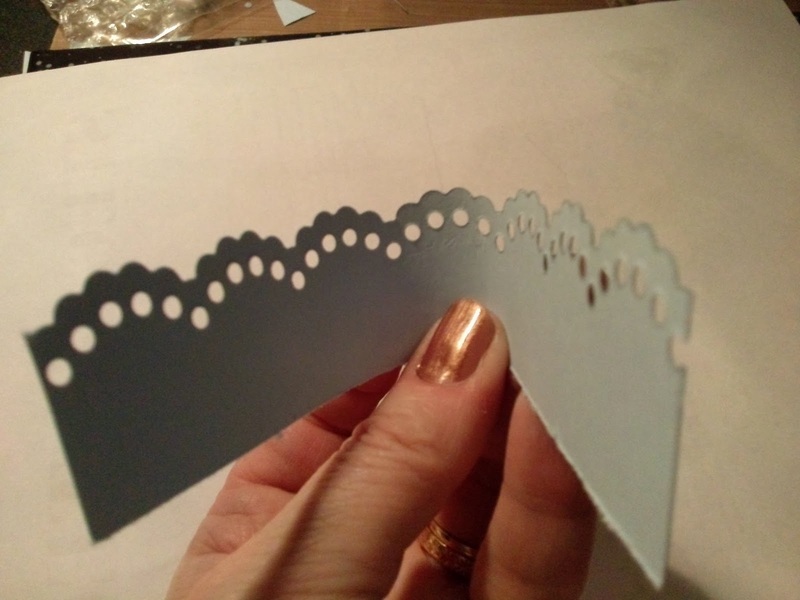 Now take one of your half circles and press the first triangle against your Carriage on the plain side against the straight edge, but at the same time making sure that it lines up with the inner circle on the side where you can see the two circles. Once you have secured both ends then you can press the rest down ( this is where softening the card comes in. 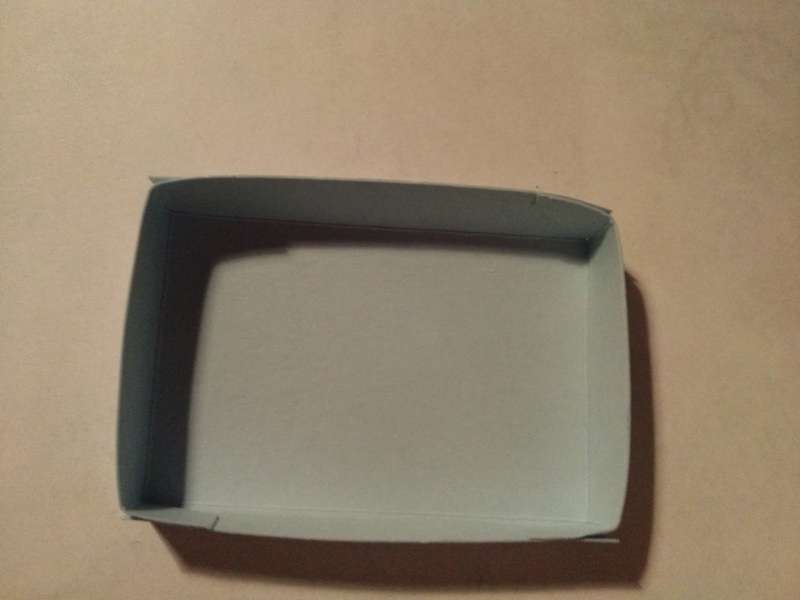 Once you have finished the first side then do the same on the other side. 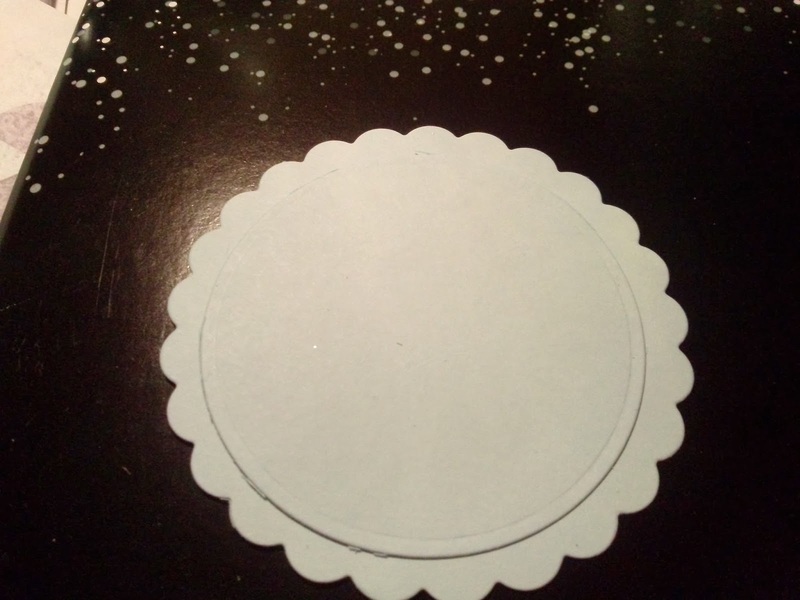 Glue the two large edging circles together then glue the small plain circle to your edge circle so you end up with one wheel. Once you have made 4 Wheels then measure 3,5cm from the straight edge on Your pram base. 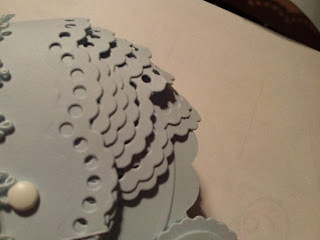 Then glue Your wheels on making sure that your pram now sits straight. Now we can work on the Hood. Put all your strips together and punch a hole in both sides at the edge and using a brad fix them together to the hole on your pram. 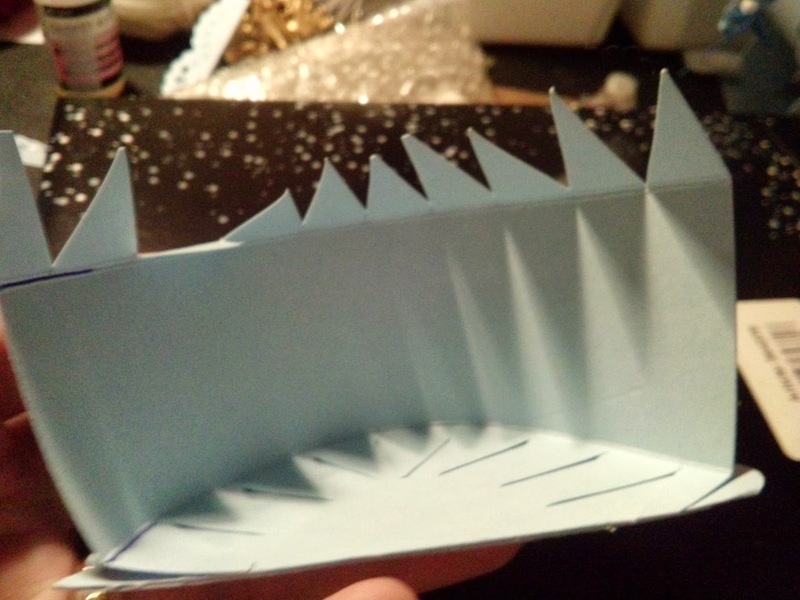 You then need to gently fan out your strips carefully so that all seven strips are shown and that it covers the back of your pram. This can be tricky so take your time and if it gets to much make your self a cup to tea and relax then come back to it. Ok say if you are like me you would have two cups of tea before returning to this. Once you have put the Hood on it will start to look more like a pram. 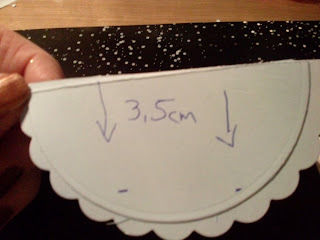 I then measured 1cm down from the inside of the pram and glued the handles in making sure that they are even and straight. 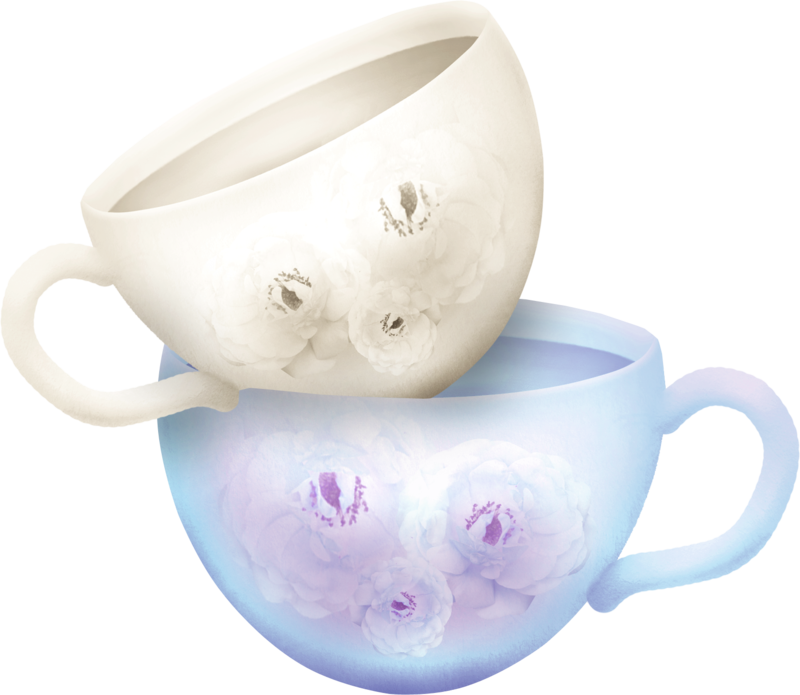 You need a good eye for this. 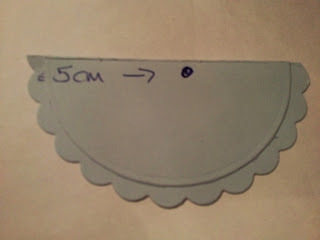 Now you can take Your last 6cm plain circle and cut it in half and Place and glue in side Your pram to make the inside look neat. Cut a piece of 5cm white lollipop stick and glue to Your handles. 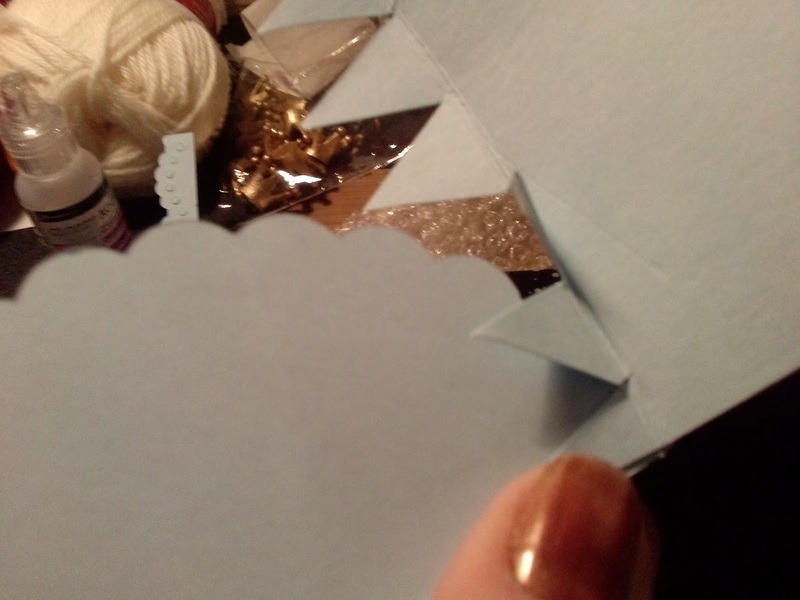 Here I found it best to use a glue gun. At this stage I made some very small ribbon bows and glued then to the end of the handles on the outside. 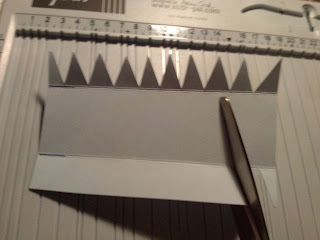 Now cut a piece of card measuring 8cm x 6cm and score in 1cm on all sides. then cut out a little triangle in all four corners as shown in the photograph. 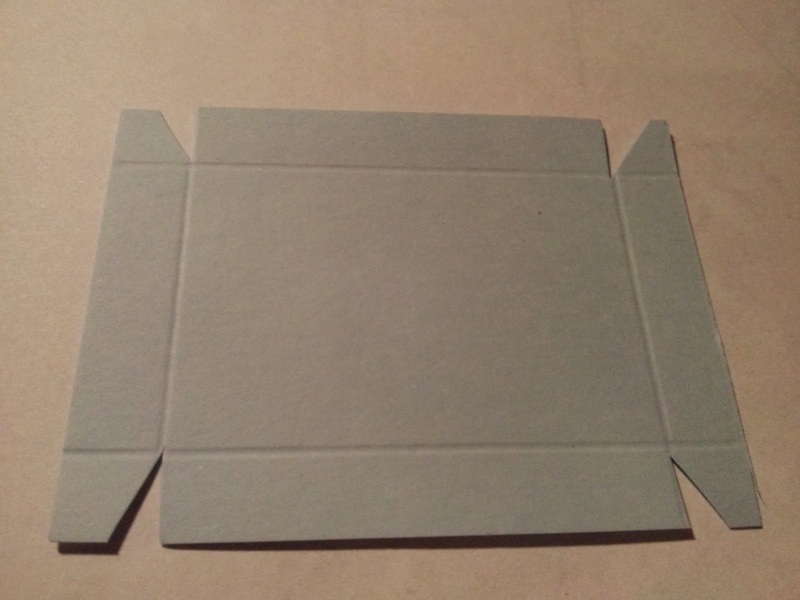 You can now fold Your creases where you scored and glue together. Now you have Your bed and you can decorate it as you wish. 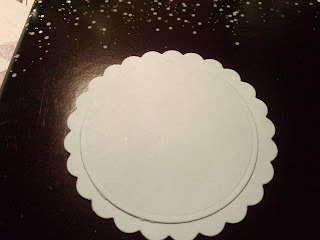 I used lace but you Cold use patterned paper, flowers the Choice is Yours. 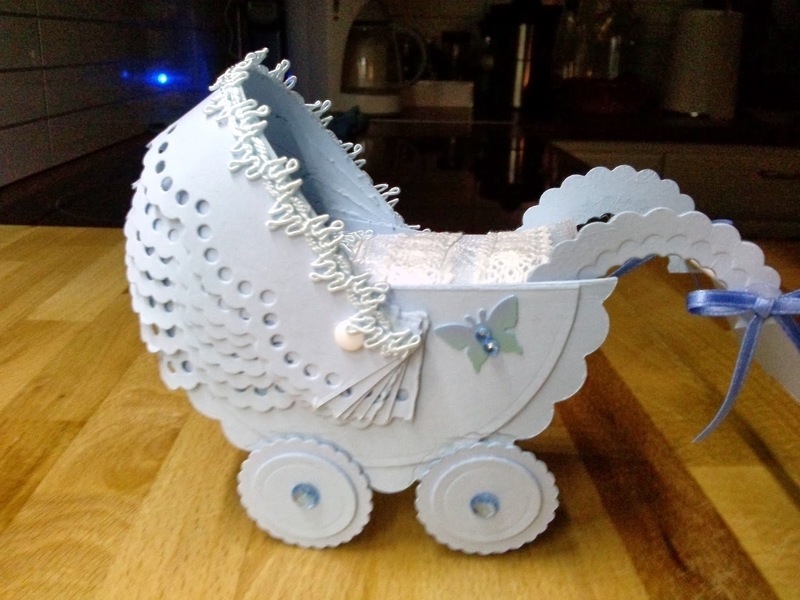 Once decorated you can then insert it into Your pram. NOW ALL YOUR HARD WORK CAN PAY OFF. 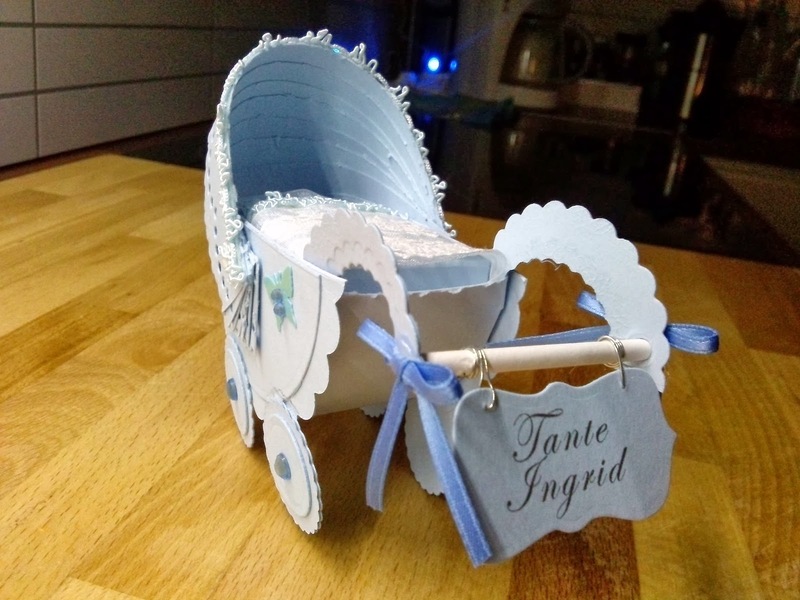 It's time to decorate Your pram as you want. If you take a look at mine it will give you an idea. I used mine as a table name card so I cut two 5cm strips of very thin wire and pierced them through a name tag and attached them through the handle bar. You could also use a tag with the baby's name and date of birth again it's your Choice. I took the idea of this pram from a Magnolia Ink Magazine tutorial. Good luck and remember making Things should be fun so enjoy your project and keep smiling.